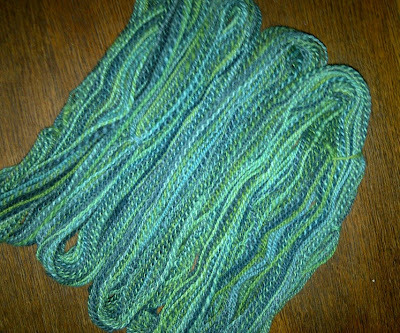 I am in the process of finishing up my knitting agreement with Jacqueline. In exchange for 10 lbs of washed fibre (5lbs of dark grey, 5lbs of white) I agreed to make her six pairs of half-mitts. Two for men, four for women. 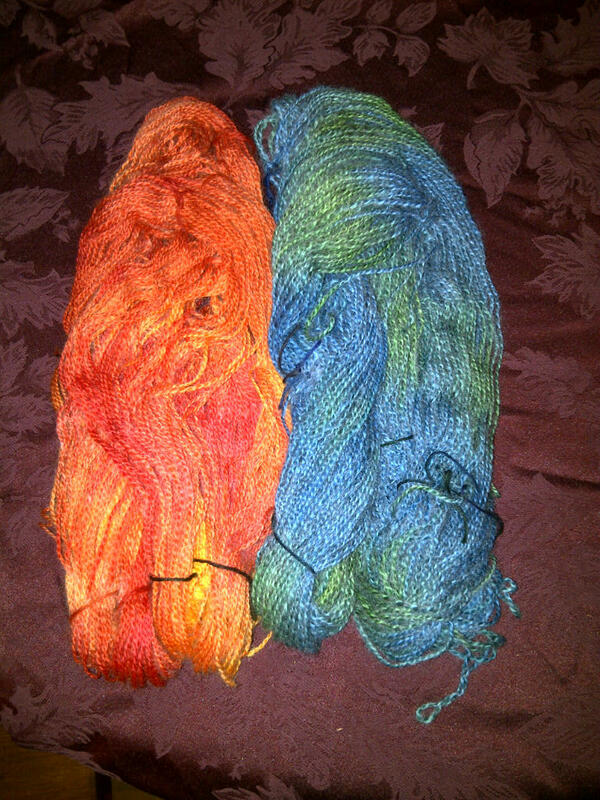 I’ve got five pairs made, here’s #4 and #5 where I got out the dyes and had some fun with colour. The orange skein used to be all white. 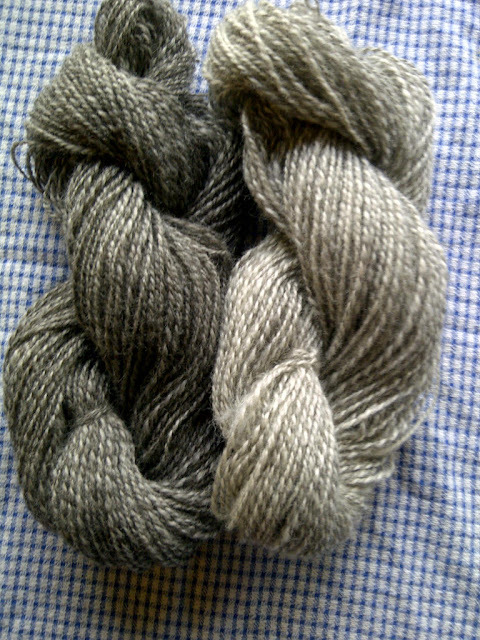 The blue/green skein was 75% white and 25% grey. I love the way the grey tones down the colour, while the white shows the true hue. Combined in one yarn it adds depth. 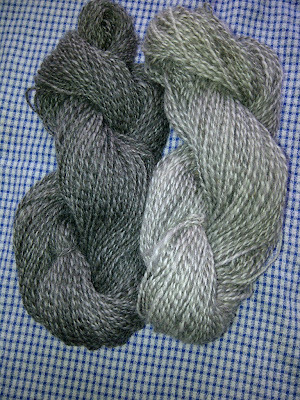 Both skeins just off the drying rack. 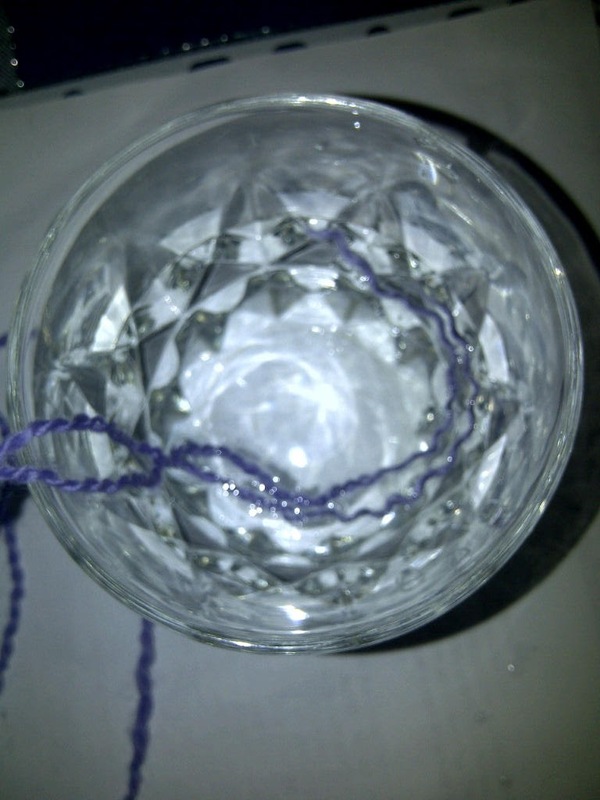 And below, wound into balls in preparation for knitting. My commute to the city for work gives me a great chance to clock some good knitting hours. 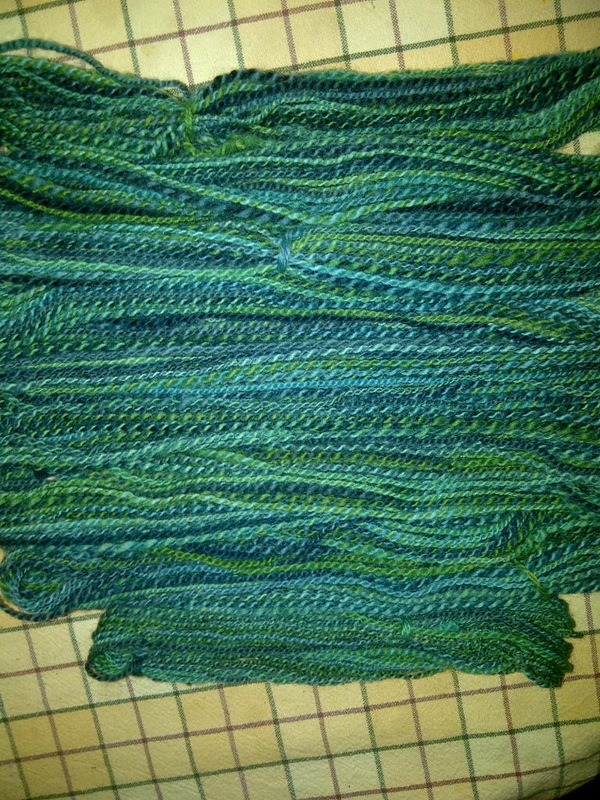 Here’s pair #4 complete except for weaving in the ends, and the beginning of pair #5. 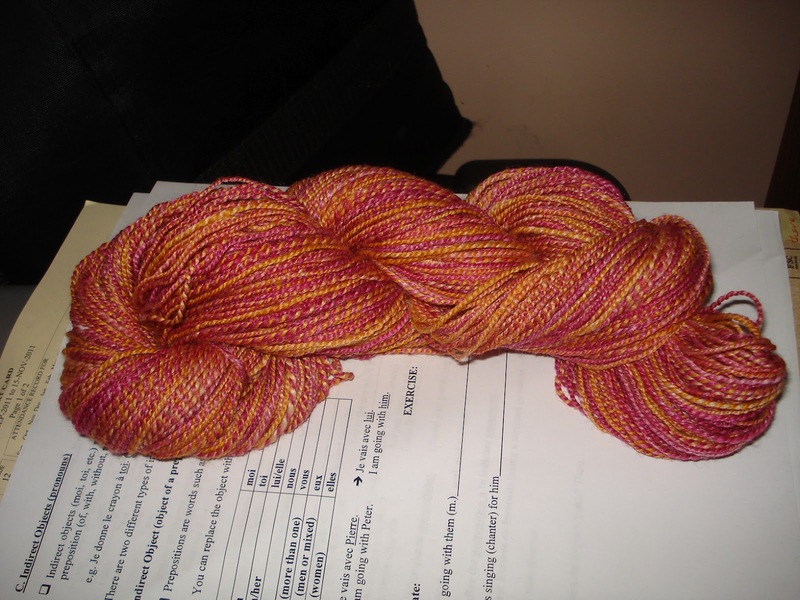 This is my second attempt at pair #5. 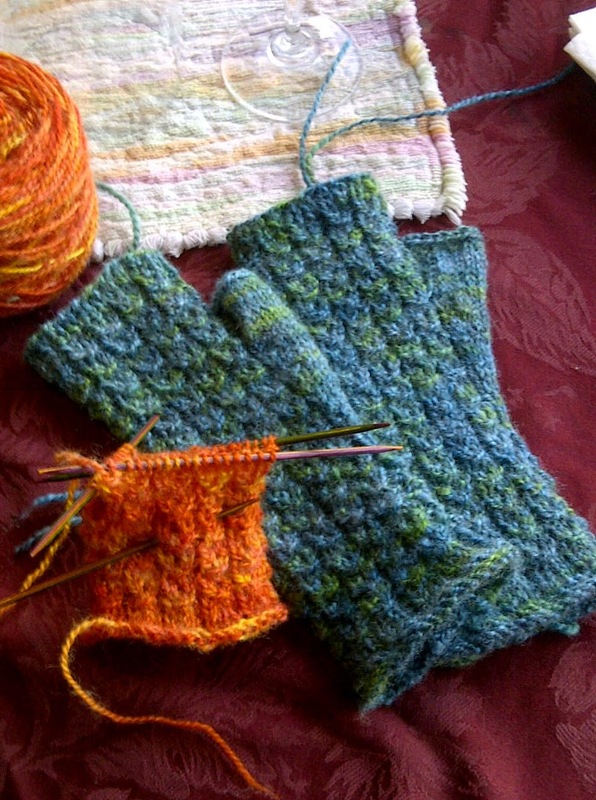 I had 3/4 of a mitt knit up in a lace pattern and finally admitted it was too large. So it ripped it out and started all over again. Put me a bit behind schedule, but the second attempt is much nicer. 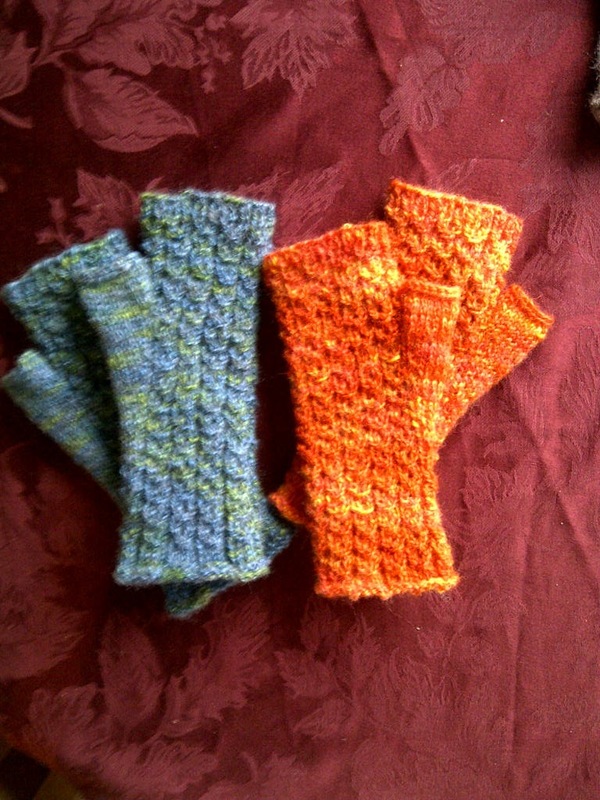 I finished the orange pair last night. 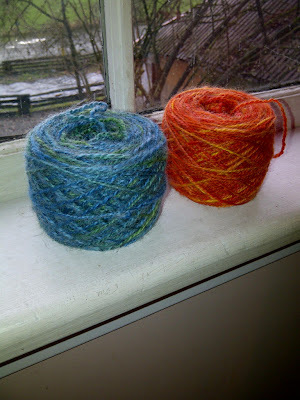 And here they both are: #4 and #5 complete with the ends woven in. I apologize about the quality of the photos, I can’t find my camera in my disaster of a studio, so I’ve been relying on the camera in my bberry. I have one more pair to make. 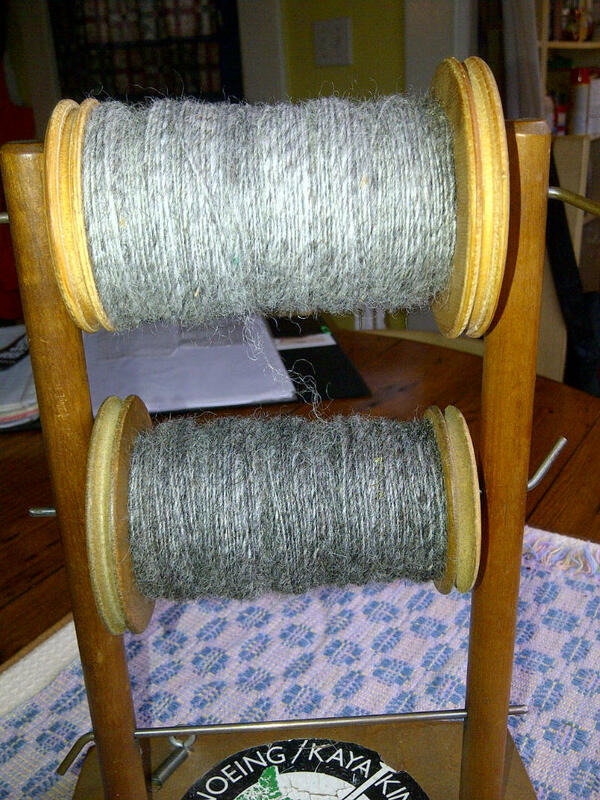 The yarn that I made for it last week is not quite right, so it’s back to the spinning wheel. That’s fine. It’s a rainy day, my baking is done and all’s well with the world. My world anyway. This entry was posted in knitting, spinning, wool on December 9, 2012 by DianaTwiss. I’ve been pretty quiet this last while, using every spare moment I have to get materials organized and myself prepared. For what you ask? 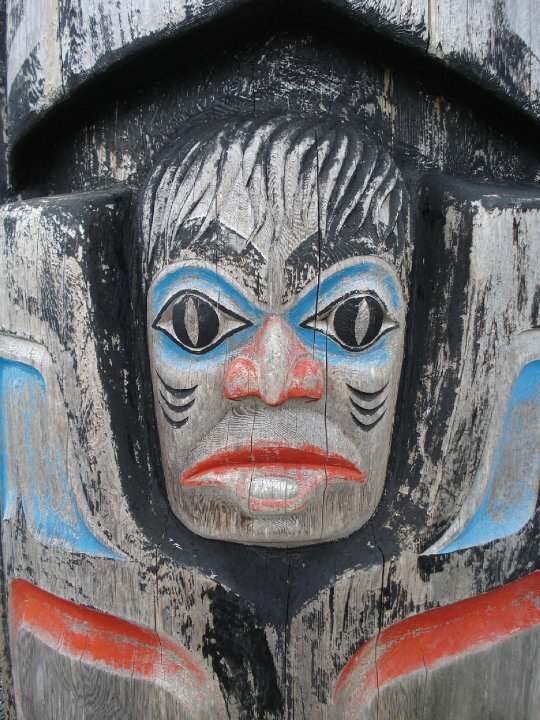 On Friday, I’m flying up to Haida Gwaii to teach a two-day spinning workshop in Tlell. 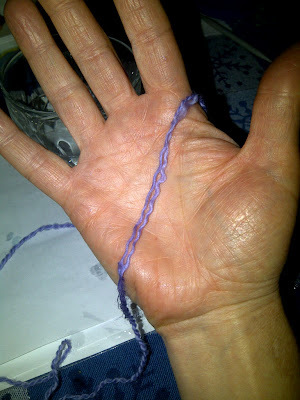 I was there in April 2010 teaching a writing workshop, and because I had extra time, we decided to add a drop spinning workshop to my trip. It was a hit and I’ve been striving to find a way back ever since. Saturday from 9am – 5pm, I’ll be teaching a Beginning Spinning workshop — using the drop or suspended spindle. 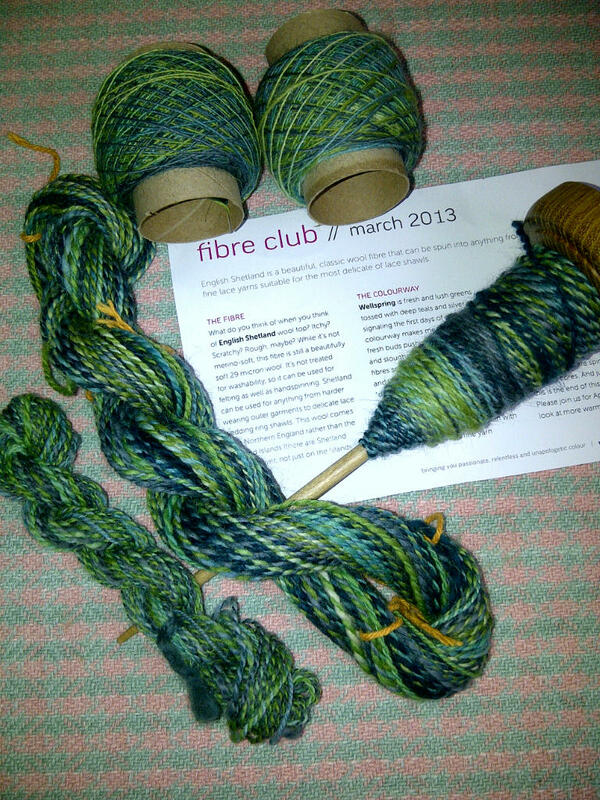 In the evening, we are hosting a Spin-In for all the workshop participants and other fibre enthusiasts who may want to join in. On Sunday, I’ll be teaching an Advanced Spinning workshop — doing more advanced techniques and playing around with more fibres, making blends and such. The challenge is to try to pack it all into 2 checked bags and one carry on. The spindles themselves take an entire box. 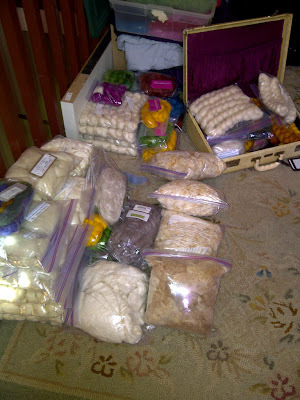 All this fibre has to go into my large suitcase and medium carry on. Thankfully fibre packs down pretty well. I need to start now just so I can be sure that I’m not forgetting something critical for the workshops. I’ll keep you posted on my packing progress — now back to more fibre preparation. This entry was posted in drop spinning, handspun yarn, local fibre, spinning, wool on May 6, 2012 by DianaTwiss.